Hiya crafty peeps! Back for another day of the fairy release at Some Odd Girl and this time we're taking a look at Fairy in Flight. She's absolutely adorable don't you think? I decided to do something a little different so I took a pail that I'd picked up at Craft Warehouse some time ago and did it all up so it's pretty. Then I filled it with some colored sand to look like fairy dust and attached Fairy in Flight to the outside. I thought this could be a cute thing for a little girl to have in her room :) I hope that you like my little make and this cute new image! Make sure to stop by the SOG blog for some more amazing inspiration and pop by the store to pick her up for yourself. As always, thanks for stopping by! Oh for cute!! 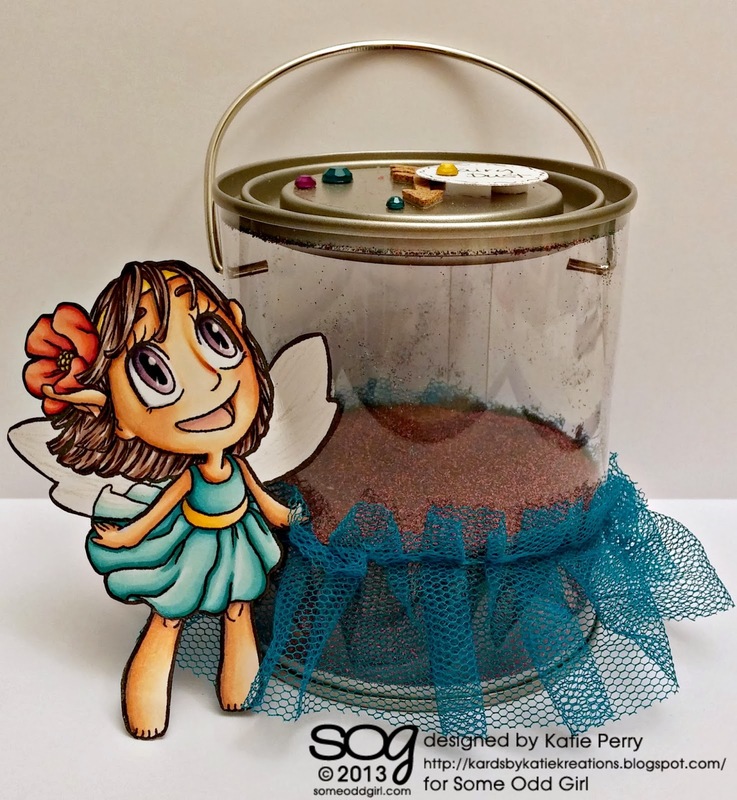 I love that cutie fairy, great idea to add the fairy dust! Such a lovely idea!! Your coloring is amazeballs!! So love it! Swooooon.